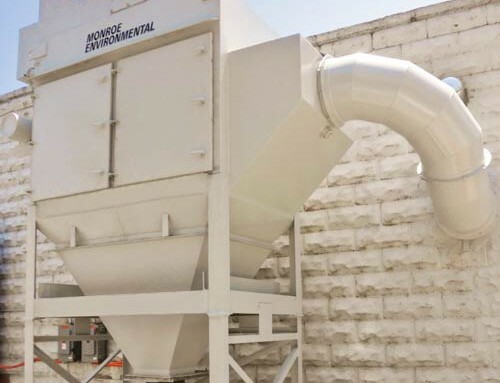 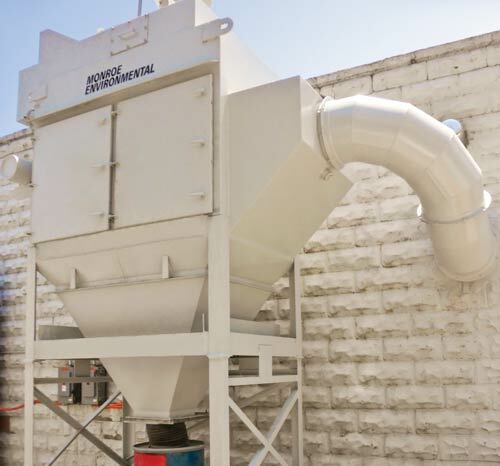 An asphalt terminal needed to control PM2.5 particulate, fumes, mist, and vapors exhausted from its heated asphalt storage tanks. 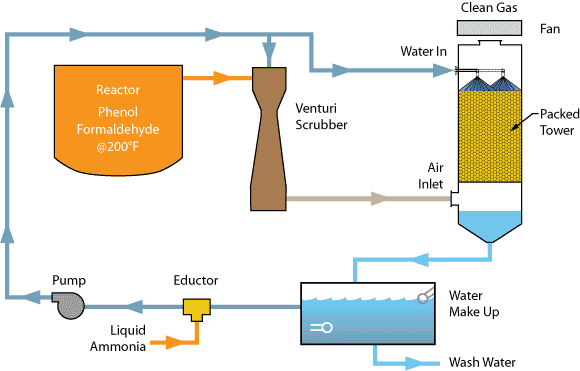 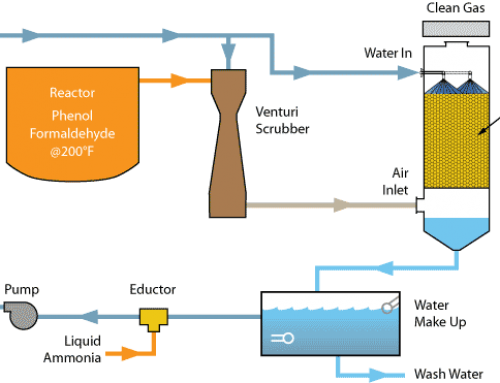 Downstream H2S adsorption vessels would plug and fail if these pollutants were not removed. 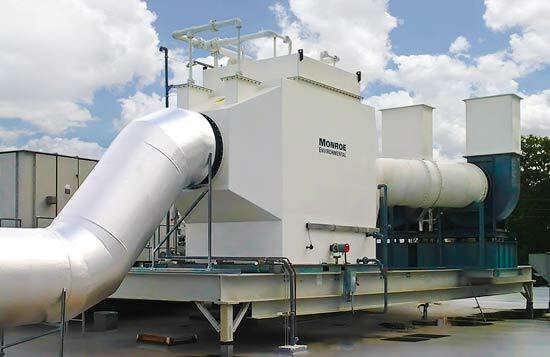 The mist and vapors were very fine, requiring filtration equipment capable of removing sub-micron particulate. 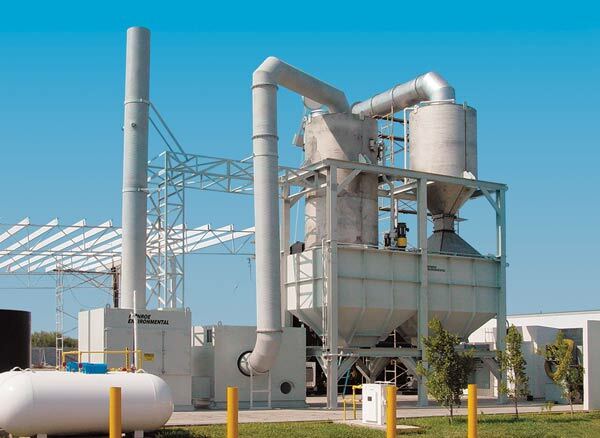 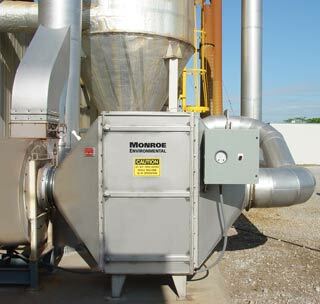 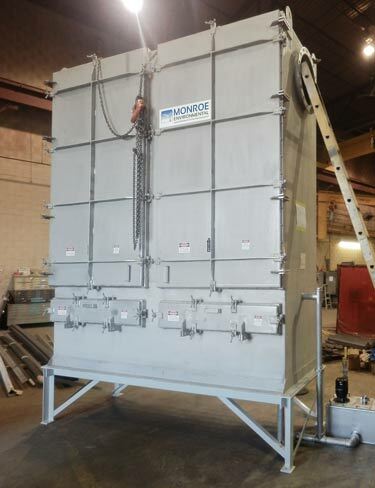 Monroe Environmental provided several high efficiency Fiber Bed Mist Collectors to control and filter the PM2.5 and dangerous off-gasses prior to treatment with acid gas adsorbers. 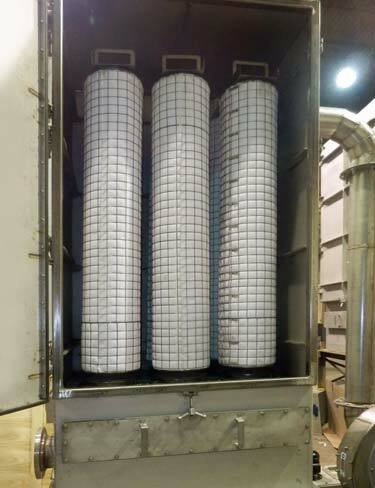 The fiber bed filters were custom designed to allow for easy removal and replacement via removable filter racks which saves considerable time during change outs. 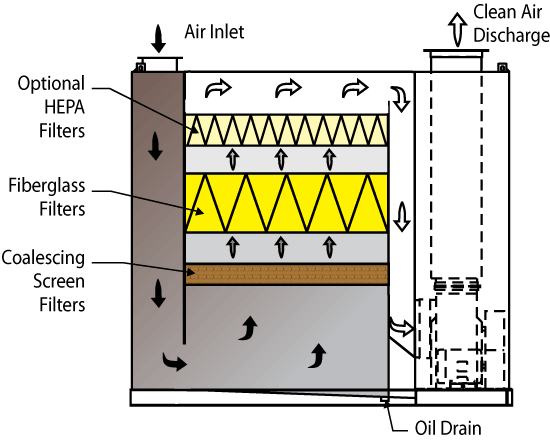 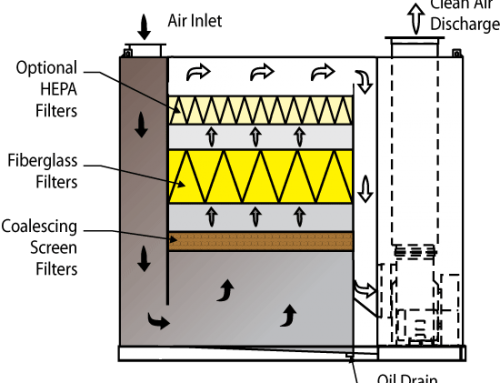 Self-draining pre-filter screens were utilized to coalesce and remove larger mist particles which prolonged fiber bed filter life. 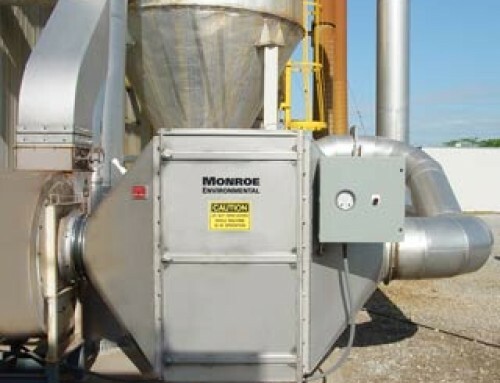 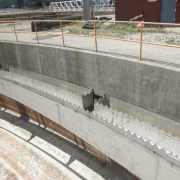 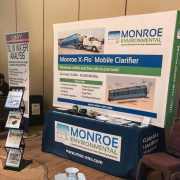 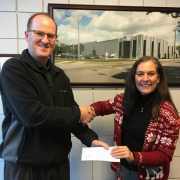 Monroe also provided exhaust fans, collection sumps, pumps, and controls as required. 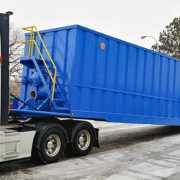 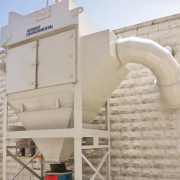 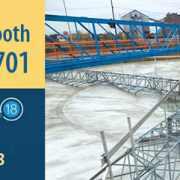 The units were delivered to asphalt storage facilities all across the USA and have been successfully installed and commissioned. 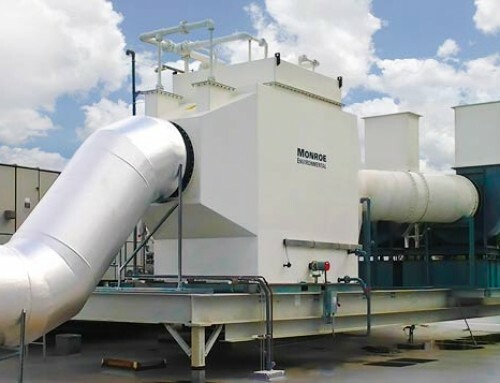 The collectors are achieving very high efficiency capture (+99%) of sub-micron particulate on all installations. 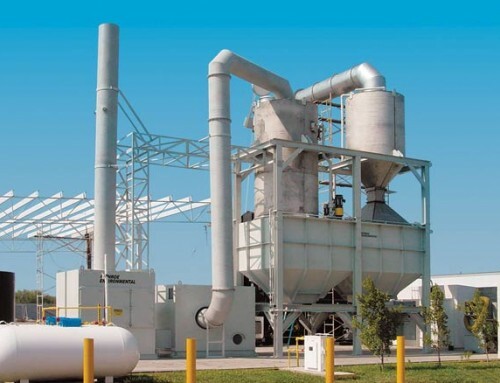 The maintenance and upkeep of the acid gas adsorbers has been significantly reduced as well, lowering operational costs for each plant.